Otium is one of our favourite cantines in Paris. Open for just under a year, it's cozy but not cramped with an atmosphere so inviting that even Parisian locals end up chatting with their neighbors....et oui! The juices are unique and perfectly balanced, the salads generous portions and the cakes and other sweets are just short of dangerous. We wanted to know more, so we reached out to Kaitlyn Reinhart, the charismatic co-founder who always has a kind word from behind the counter. Kaitlyn is from Toronto and arrived in Paris a few years ago. She describes herself as self-taught, curious and true. A passion for healthy food lead her to start a cold press juice line and a catering service and after a few months, she finally decided to open her own café, with her boyfriend and business partner Charles Cariou. Discover her trajectory and some tasty tips below. I/O: Tell us how Otium was born. KR: Otium started with the discovery of cold pressed juices. Which was already quite developed in the States and in England at that time, but completely new to my partner and me. I was leaving my work in fashion production to start cooking professionally - veggie of course - and it made sense to start the juice company first, while always keeping in mind that we wanted to have a food element in the mix one day. I/O: Define the place in a few words. I/O: Why did you choose an address in Pigalle? KR: We fell in love with the boutique and knew we had to have it! We didn’t know much about the 9th. For us, it was more an area where to go out at night and have a drink with friends…We were pleasantly surprised about its village-like vibe. I/O: Nutrition is very much influenced by the mind and emotions, so how do create balance between food and feelings? KR: I truly believe that "you are what you eat." I like to serve flavorful, colorful food, good for all your senses! I/O: Does the use of local, seasonal and organic products affect the way you source and create? KR: Of course! Especially with our juice recipes. For example, we have seasonal juices, and we try and keep some of them permanent, like "My Old Flame," a carrot/orange juice. But the oranges that we can find right now are just not good as they are, when in season. And it is hard because clients like to find familiarity here, they have their favorite juice recipe. I/O: Who are the experts you admire? Who were your teachers? KR: Dan Barber, an American chef and pioneer of the "farm-to-table" cooking (editor's note: The Third Plate, a manifest for new food and a new way of envisioning agriculture is a bestseller in the U.S.). Jeremy Fox who made a name for himself by earning a Michelin star when he was working at Ubuntu in Napa, CA. Today, he is still very influential and considered as a game changing chef mastering a seasonal and ingredients focused cooking (editor's note: His book On Vegetables is a bible of the vegetable-based cuisine). Alex Elliott-Howery, famous pickler who founded Cornersmith, with her husband James Grant. 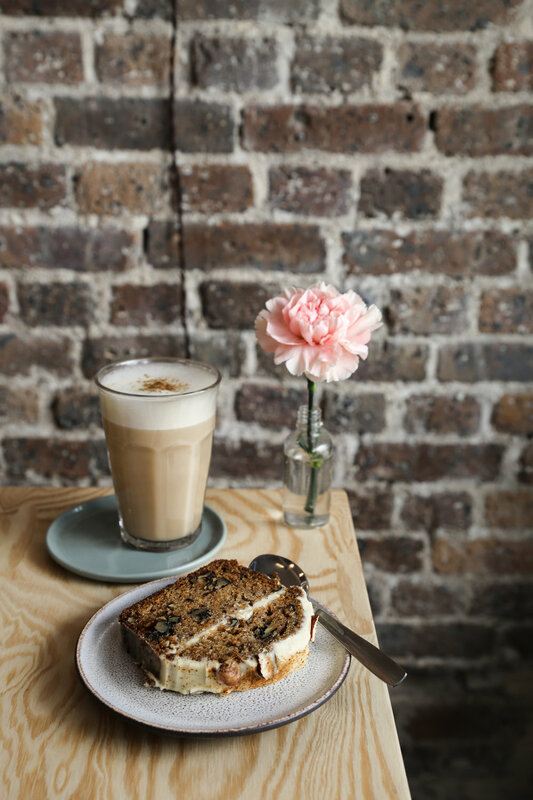 The place is a hybrid space hosting a café, a picklery, a cooking school and trading system where customers can swap home-grown produce for a coffee or a jar of pickles (editor's note: Cornersmith is published by Murdoch and displays recipes served in the café and taught at the Picklery). And if I did not have a formal teacher, I had the chance to cook with Angela Dimayuga from Mission Chinese in New York. She is very creative and has a very unique style. Her food is a lifestyle and I like that. She was a great teacher, always following and encouraging our progress. I/O: What are your thoughts on feminism and female empowerment? KR: I always try to surround myself with strong, powerful women. They are the precious. Rebecca Solnit (editor's note: an American writer and author of Men Explain Things to Me) taught me a lot on feminism. I/O: What websites, books, podcasts or other tools would you recommend to our community? KR: The Third Plate by Dan Barber, a podcast: Paris Paysanne that explores Paris markets and French terroir, and a site: The First Mess, where Laura Wright writes about the things she loves: cooking with natural, plant-based foods, eating seasonally and sharing her favorite recipes. I/O: What’s your favorite recipe? KR: I love to dance, it makes me happy, so maybe "dance like nobody's watching!" I/O: Through your work, you take care of people so tell us, who takes care of you? KR: My business partner and boyfriend. Though it isn’t always easy as we are both trying to raise this baby! KR: At Otium, 56 Rue de la Rochefoucauld 75009 PARIS, on Instagram or on Facebook. Otium will be at Stereokids on Sunday if you are in Paris this weeekend.